He is currently the Chief Executive Officer (CEO) of 360buy Jingdong Mall (360.com), a large-scale online shopping platform in China. 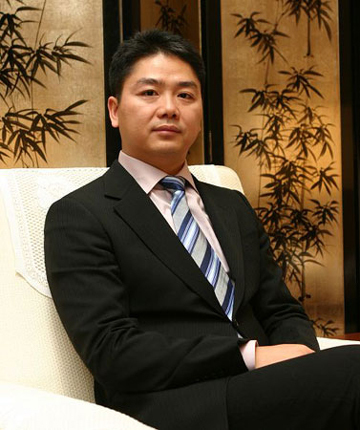 Liu Qiangdong was born on 1974 in Suqian city, Jiangsu province. He is currently the Chief Executive Officer (CEO) of 360buy Jingdong Mall (360.com), a large-scale online shopping platform in China. In 2011, he was awarded as the China Economic Figure of the Year. Liu had an ardent love for computer science during his studies in the Department of Sociology, at Renmin University, and spent all the spare time learning computer programming. After graduation in 1996, he entered a Japanese enterprise (RBLF) and successively served as the director for computers, the director for business, and the logistics supervisor. In June 1998, Liu Qiangdong set up Jingdong Company, a sales agent of magneto-optical products in Zhongguancun Science Park, Beijing, and worked as the general manager. In an attempt to set foot in e-commerce business, Liu set up "360buy multimedia website" (the predecessor of 360buy Jingdong Mall) in 2004 and served as the CEO of the company.